This combination class will keep you motivated because each class will use different fitness styles. 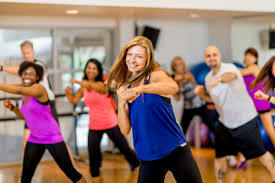 It will include kickboxing, Pilates exercises, Zumba and advanced mat work while incorporating props designed to sculpt, strengthen and stabilize your core muscles, hips, thighs, glutes and arms. The instructor will also discuss easy to follow tips to lead a healthier lifestyle. Watch your body transform to a healthier you while having fun. Please bring a Yoga mat and a water bottle.